Since 1975 Artists from all around the globe have been designing and applying art to cars that BMW manufactures, this is BMW's way of fusing two art forms together as they say. 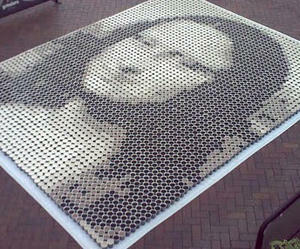 It's a very unique way of expressing art, as the canvas is a body of a car (usually a high spec race car). 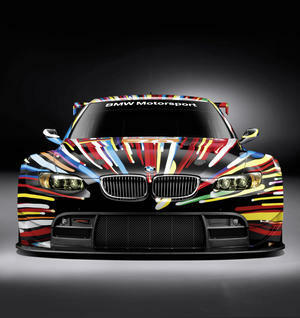 This is the BMW M3 GT2 done by Jeff Koon.